Find out what's available from our range of Ricoh printers for sale. Talk to one of our Ricoh experts today. 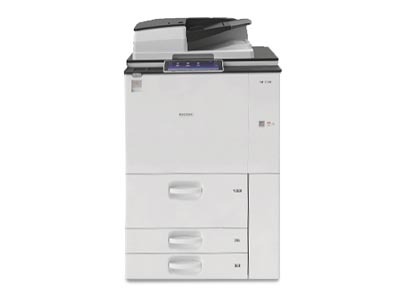 Our range of Ricoh printers include models that offer multiple functions and cater to various office needs. Find what you need in our reliable and extensive Ricoh printer selection. The ease of use in our Ricoh printers extends to the technological features of the models. Unite your office through connectivity that allows easy, wireless printing. Take advantage of the experience and product knowledge of our Copysonic technicians. Maintenance checks and toner refills will keep your model performing well. Keep your Ricoh printers protected under a warranty, so that you can focus on operating your business. Decide on a warranty model that suits your printer and office needs. Secure one of our state-of-the-art Ricoh printers and start benefiting from the innovative and integrated technology. Purchase your model outright or select a payment option that suits you. Our Ricoh printers are also available for rent. Select one of our used Ricoh printers and be confident that your model has been professionally refurbished and operating to industry standard. Our Ricoh printers are also available for rent. For over 25 years, we have set the standard for stocking, delivering and maintaining the most trusted and reliable printing solutions in the market. Our recommendations are led by your workflow and budget expectations when selecting the right Ricoh printers for your office. Our skilled technicians can carry out same-day service calls to facilitate repairs and complete routine maintenance and refills. Whether it's a repair or maintenance request, your Copysonic service agreement will keep your models operating to their full potential. Unrivalled product knowledge and dedication are what you can expect from our technicians, leading the way for over 15 years. Call our printing solutions experts, and find the right Ricoh printer for your unique office needs. Contact our specialist technicians by phone or email and let us tailor a solution that will add value to your business. Face-to-face consultations are also available. Our team will provide you with a quote that will take into account your budget and workflow expectations. Decide on renting or buying your new or used Ricoh printer, and we will present payment options that will be flexible to your needs. One of our experiences technicians will confirm a time to install your new Ricoh printer, and integrate it within your office network. 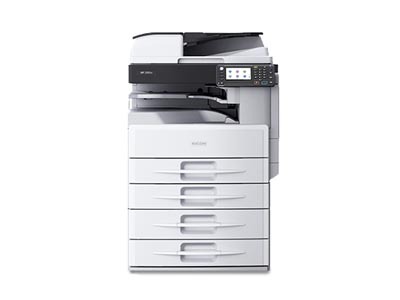 After installation your Ricoh printer will be installed and integrated into your office network. From this point our technicians will check in to perform routine maintenance and refills to keep your model running smoothly. Can I purchase a new or used Ricoh printer or photocopier from Copysonic? Yes, you can. We stock an extensive range of new and used Ricoh printers for sale. Can you repair and service Ricoh printers and photocopiers? What type of warranty can you provide for a Ricoh printer or photocopier? Depending on your service agreement, your Ricoh printer or photocopier can be covered under warranty. Do you sell any Ricoh models with cloud printing and smart device integration? Our Ricoh printers are designed with workflow and technology integration in mind. Depending on your model, your office can access the Ricoh printing solutions through smart device integration. Ask us any questions you have and we will get back to you soon.